Update: We will be doing the first skin clinic in Nigeria, and it's free! courtesy of AIM and major cream retailers in the UK and Africa, I will be there live. Your skin will be tested and cream recommendations will be given to you, you can buy original creams on the spot or buy later. It is once in a lifetime opportunity as skin test like this is expensive to do. I promised them to met the target on time, please make this a reality, reserve your slot and share to help others reserve theirs. as a rule, if you can help as much as 15 or more reserve theirs, you'll be given special treatment. I want this to hold and it can only hold in Nigeria if the expected number of people are met, otherwise the clinic may go to another African country. RESERVE Your SLOT We will select three Nigerian cities from a survey after you all have reserved your slot. Check this collection of creams that are currently hot in the market right now this creams will make your skin fair and white, it doesn't matter if you are dark like charcoal or if you are already fair. What matters is they will lighten your skin to the desired color. There are many reasons why you might want to bleach, there also many benefits of bleaching. For some. You may have spots on your face or old body caused by freckles, age spots, liver spots, birthmarks, burns, sunburn scars, accident scars and any other scars. Also condition like hyper-pigmentation, hypo-pigmentation, or any one of many embarrassing skin conditions that may be making you feel self-conscious thus having low-confidence. Most of this skin whitening treatments act by blocking melanin production. *. Hydroquinone – primarily, this substance is used for whitening the skin because of its antioxidant abilities. Cosmetic concentrations are available in 2%, which can be gotten over the counter while other concentrations are at 4%. Contrary to what people think Hydroquinone does not bleach the skin but it helps lighten the skin. *. Kojic Acid – The by-product of malting rice or the process of sake production. Studies have shown that Kojic acid is effective in inhibiting melanin production but this is also an unstable ingredient in without the right cosmetic formulation. When exposed to sunlight, this can turn brown and therefore lose efficiency. Several cosmetic companies have used Kojic dipalmitate as a potent alternative. *. Arbutin – this is an effective alternative to hydroquinone. Arbutin is gotten from mulberry, white mulberry, bearberry, and paper mulberry. The action of arbutin is to inhibit the production of melanin. Some forms of arbutin are also found in pears and this substance is considered safe over other skin whitening ingredients. *. Alpha Hydroxy Acid (AHA) – This ingredient can easily penetrate the skin because of its molecular size. The benefit of AHA is to generate cell regeneration and remove abnormal layers of the skin (exfoliation). The superficial layer of the skin is where most discolorations occur. Before you start you need to get rid of the pimples first if you have one, this is necessary because, most of this bleaching creams only whitens your body and doesn't cure pimples entirely, although some might try it won't be as strong as a dedicated acne cream. 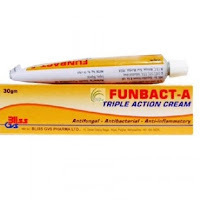 Talking about dedicated acne cream, the best in Nigeria and one of the best in the word is Funbact A Triple Action Cream This cream is very powerful, you only need to wash your face with warm water to open the pores then apply Funbact in the morning and night. You'll see the magic after a few days. When you're done with your pimples move over to this creams. 1. 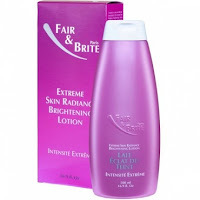 Fair & Brite Lightening Cream. This cream does what it says, it lightens your skin, it doesn't whiten per say but you'll love it if all you just want is to lighten your skin, that is from dark, black or chocolate to something close to white but not white. You'll love the skin color it gives to black or dark skins, it also makes your face smooth. 2. Fair & Brite Extreme Skin Radiance Brightening Lotion. This is suitable for fair and semi-fair women or men, it does almost the same thing with the cream, except that it is a lotion and as a lotion it helps enhance the fair people color, the blacks are not left as it contains some trace quantity of hydroquinone that serves as a catalyst to lighten the dark skin in the shortest possible time, specifically just 3weeks. 3. 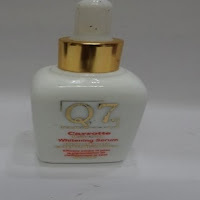 Carrotte Whitening Serum Now this is the cream that turns you white, when I say white I mean pure white like Oyibo, I tested this Serum on one of my clients and I saw the result in one week! This Serum, when used alongside its Sister Intense toning, will sure get you the desired result. You can discontinue its use when you've gotten the desired skin color and start using a good toner. It is one thing to spend lots of Nairas on bleaching creams and then get your desired skin tone, it is another thing to maintain that color, because leaving that cream will eventually bring you back to square one, continuous use it might over whiten you, or at worst damage your skin, here is where this Skin toner comes. With this Tonner you don't need to apply lots of creams, just use whatever cream that gets your desired skin color, then use this toner to maintain it. 5. Original Caro White Lightening Beauty Cream. With 2% hydroquinone as it maximum (4% is the maximum, but not sold in the open market) this cream will lighten you even if you are very dark, it will give you a smooth skin. Its smell is even the second attractive thing about this cream, I assure you, you'll love the smell, just don't eat it! On a serious note this cream works. A bit expensive but works really well, this cream is best used during the last lightening stage if you are dark before. If you are fair already you can start with it. For the dark people it's recommended you start with QEI privilege or ( start with Almond Oil this would get you about 2 shades lighter. And the next step, after using the QEI with almond oil for about 3 months should be the QEI with Shea Butter, this optional as those creams are pretty hard to get). This is actually one of my favorites for clients, it gets you lighter while giving you a lovely even and bright complexion. 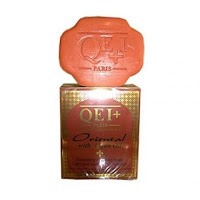 QEI Oriental is best used in the last stage of lightning. Either of those two privilege and oriental, do a good job of brightening the skin some more while at the same time maintaining it. There are many lightening products when used for a long duration, the skin starts to get damaged, this is not the case with QEI. Which is why it has done so well after so many years in the market. This is a silky light emulsion to lighten and moisturize your complexion, particularly pleasant to the touch. This cream acts very fast against excessive pigment formation. Using this cream regularly will keep your skin in perfect condition, luminous and soft. This Beauty Milk is particularly effective against pigmented marks, scars, liver spots and other signs of premature skin aging. It is very gentle and non-irritant, this cream is ideal for daily use. And the best part of it is that it's hydroquinone free. 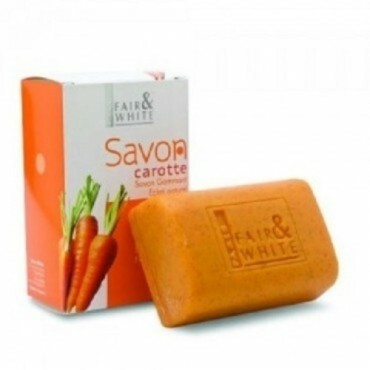 If you don't have any soap that works for you then you need fair and white soap with carrot, this soap specifically exfoliate your skin, that is peels out those black spot and takes care of any other blemish your skin might have. Please note. There are many fake products of this cream on the market, for example, Maxi cream used to be a very good bleaching cream, but where is it today? can't be found because almost all of them are fake. I have seen some stores that sell the body wash of it. QEI does not manufacture it. Nor do they manufacture an extra large size of the body lotion, so it is fake. That is why is good you buy online from a reputable supplier. Note: Watch or download this short video to see how you can do a self-skin test to determine your skin type and cream HERE video is no longer available. Thanks for the useful tips. i was wondering when you mentioned Original Caro white. is there a fake caro white? yea there is, for every good and high selling product there is always a counterfeit of it. I'm terribly sun burnt, I need to lighten my skin, which one of these should I use. hello Anonymous you need a cream that contains Alpha Hydroxy Acid for exfoliation, this peels out the burnt skin smoothly, then use either of the cream to lighten your skin, if you mean lighten then pay attention to those creams that lightens not Whitens. Plz What are the side effects of using Caro white cuz I really want to get lighter like 3 shades but I don't want to have negative effects like stretch marks, green veins, black knuckles or look red-like. I just want a glamorous skin. Right now I'm using otentika creme (pink) and serum for two months now with no result and I exfoliate well so I don't know what to use anymore. Plz help!!! There is no side effect if you balance it, use it until you get lighter then gradually WITHDRAW from using it much, just sparingly. 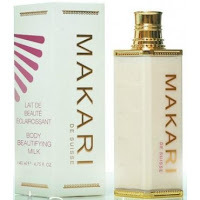 If your budget allows it go for Makari Beauty Whitening Milk. Brown could you pls be specific, so I that I'll know what to recommend. I would like to purchase the faie and bright or carrot intense lotion but am in Namibia where can I get them here in windhoek? I really don't know, don't you guys have an online store that sells it? try the offline market or try Amazon, although the transportation cost will make it a bit higher. Amazon sells only Qei from the listed. I am dark in complexion,am currently using Balea cream and it's not working, i wanna be like 3-4 shades lighter but don't wanna bleach,just enhance the color of my skin, I have my eyes of qei and makari lotion, which of then do you recommend for me? I also plan to switch to tracia goat milk washing liquid, what's your take? 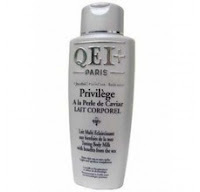 Use QEI, when you get your desired shade discontinue and use Makari or find a good Toner. All of them are good, choosing a particular one depends on many things, your skin color, do you have any skin defects like marks, how white you'll like be etc. Have you tried any cream listed above? Pls does the carrotte whitening serum whiten and also makes your colour rhyme and flawless(am fair before)?,also can i aply it on my face in the morning or I need a face cream? Lastly please wht soap can I use with it plssss? Hi lizzy,nice blog you have here. I make use of Diva lotion. I have been using it for about 4years now. So far so good. But, I noticed it gives me very obvious green veins all over my arms and on other part of my body and this makes me uncomfortable as I feel my skin is so soft now.I later started using Perfect white but it causes me ezyema I had to go back to diva and that caused me a stretch mark by my shoulder. I'm thinking of discontinuing the usage. But then I need your advice. Do you think Diva lotion is a good product. If not, what product can I use and still have thesame complexion but without the green veins. Pls I need your tips. My name is Sofia. Do you have skin defects like Rashes? you need to get your behind out of here.....i guess you disgrace your race by applying all those chemicals to your hair to straighten it to get white people hair consistency while those chemicals sink into your brain and damage your you know what. Holier than thous!!!! stop telling others what to do with their bodies while you do worse things to hurt others. Thank you for the cream advice. However, I'm currently using peau Claire lotion with carrot oil , and Caro white soap, but I'm not seeing the effects I want to lighten very well. What would u suggest? 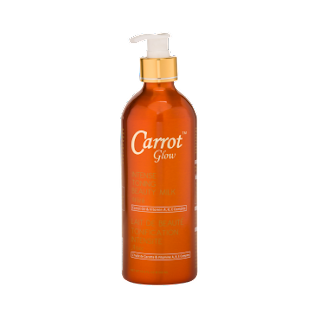 Please I want to know, if carrotte whitening serum.Doe's it gives green vains on the body? What are the side effects of stopping funbacta? Will the caro white lighten me if I don't mix it with the oil because I'm very dark? 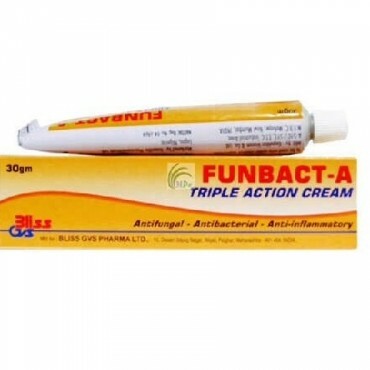 Hi, i used funbact-a for severe pimples outbreak, it worked initially but gave me burns on either side of my face and it made my facial colour uneven. plus the pimples came back with a vengeance and then i stopped using it as it really brightened my face. its been almost two years now and i still have an uneven facial tone. 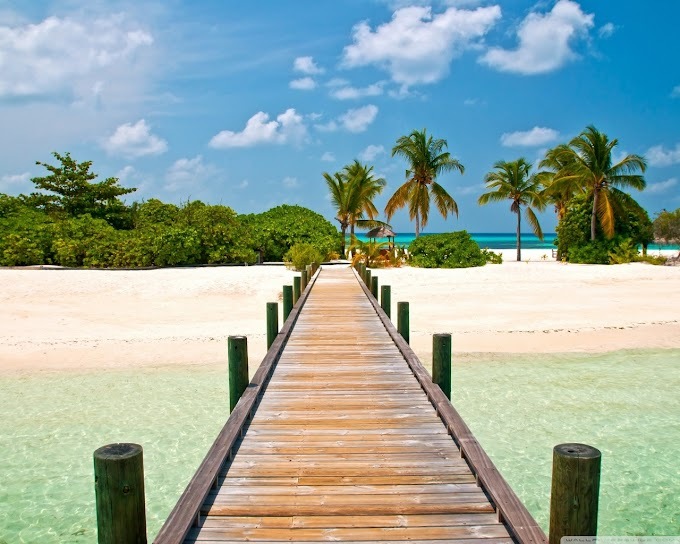 i'll say use funbact-A, but thread carefully, if you can use a good sun-block with spf30 and above all the better. . It is effective if you want to be just fair. what do you think about xtreme brite gel ? Hi Lizzy, I'm dark skinned and would like to achieve a blended chocolatey tone, would Qei with almond oil give me this? Any other recommendations? Hi Lizzy, nice blog. I have been using QE1 for 7yrs with no problems, until I got the last one that didn't work for me at all. Since then I haven't used the right cream. I'm light complexion. Please your advice would be greatly appreciated. Thanks. You probably bought the fake cream. Find original one. Hi.....I need ur help.I'm really blaack.and my friends abuse me cos of it.please what cream and soap can I use to lighten me up....I'm 18 and a guy.....thanks..waitin expectantly for ur reply..
Any of the above creams will work. ok try Caro white. Here is an advice though being fair won't stop the abuse, it will likely increase it, since you care very much about what your friends say, I say you be yourself. There is no sense in a guy bleaching. Please where can I get the carrotte serum and fair &arbiter in London? Try Origin,the store is around that Westfied shopping area, Unit 1110-1111 Ground Floor. My knowledge of London is not that top notch, so bear with me. If you have a sensitive skin no. I'll advise you to use only it, after 3weeks examine yourself, if you like the skin tone continue. How do you identify an original product. My dear sis there is no sure way of knowing exactly original product in the country, especially in the open market. But here is what works > buy from a reputable store like Konga or Shoprite. if you find yourself at Aba ask them the original, offer a tip for that. That city is really something else. I can see y'all are slowly losing your minds. What would bleaching accomplish? Is it stupidity talking or are you not aware of the side effects of bleaching/skin whitening. P.s being paper white won't get you husbands or money. Lizzy thanks for the good work my skin is givin me a headache a lot of lotion don't work on me and when I find one that does just after two bottles the third one will make me charcoal black pls advice plus I have a thin skin. Hello, I'm dark in complexion and I tried some mix lotion but now I'll like something that will work good. I want to bleach completely. Also, my knuckles are naturally darker and I have black spots on my face. I'll like my skin to be uniform. Please help me what can I used?? Hi lizzy,please I use caro white cream at night,don't like to use it in the morning because of the sun. Can I use bio oil in the morning. Will it slow down the lightening process? Hi lizzy,pls I use caro white in the night. I don't want to use it during the day because of the sun. Pls can I use bio oil during the day? Will it slow down the lightening process? Good site lizzy. my buttocks and legs are very stubborn, actually they are dark and the rest of my body is light. can i use the FAIR AND BRITE GEL on these to parts? Try Amazon or have someone buy it here and ship it to you. hello i am dark in complexion and i want to become very fair. i was wondering if i could use QEI CAROT AND CARROTTE WHITENING SERUM ? If I understand correctly you want a cream that will give your skin a lighter shade. If you're on a budget try caro white and constantly check your self when you reach your desired tone discontinue. The above soap is also good. As for stretch marks will soon write on that. Av use carrot glow but my dear you can't imagine how stretch marks tattoo. My whole body my breast,hips,and thigh, in fact my whole body I will never recommend this cream to anyone, bad cream ever!!! Hello lizzy can I mix Caro white with the q7 serum? And can I use in my face? Hi lizzy can I use Caro white with q7 carrotte serum? And can I use the serum on my face? Pls how many shades wld qei with carrot oil mixed with 3 qei carrot serums lighten me. Hi Lizzy. Nice blog. Please can you recommend any cream with Alpha Hydroxy Acid? I used one before and it was really good. I stopped using it because the perfume wasn't so nice. I want to be 4 shades lighter. Please please reply.. Thanks. Hi Lizzy,nice job but you did not talk about using sunscreen during the day while using this bleaching product to avoid sunburn.please does serum have any side effect?I need a lightening cream contains sunscreen cos i am naturally fair, i just need a lightening cream to enhance my fairness and make my skin smooth that does not contain any harmful chemicals. please what type of serum can u recommend for me? Hi Lizzy,please what the different between lightening and whitening cream? Hi I have been using Caro White for some time good cream...but I want something that will whiten me more...its better to finish what u started init..lol. 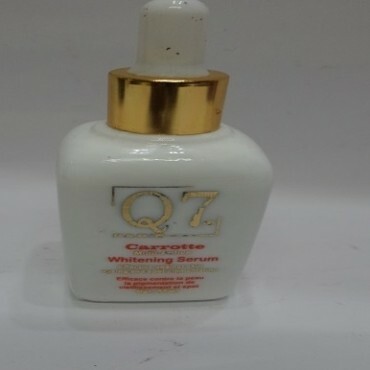 Will q7 carrot serum whiten me more than Caro White b? Hello liz,been using qei carrot,the serum n d bar soap,its been fan that my friends envy my complexion,but recently I got dark (work stress i guess)and saw ur blog got the Q7 carrotte Gold whitening serum today to brighten my skin b4 returning to my cream.What do u think? Good, please endeavour to share your experience here after use. please is carrot glow thesame as carrot whitening serum? Hi Lizzy, nice job u've got here. I once used cars white, but I stopped it because it causes tan to my palm nd my skin. Could it be the reaction of the sun? Also am dark in complexion what soap nd cream can I get that is not too expensive? Thanks. After the harmmatan season my skin gets darker from neutrogena oil.... Now I have shifted to skin success with fair and white carrot soap, can I regain my complexion with it? Nice job lizzy. I can't seem to find the carrote whitening serum on konga and jumia. As we all know being pretty and having flawless glowing skin is our aim, however we must not do so at the perils of our health. Please do not take my contributions as professional advise. There are less harmful ways of having a smooth and brighter skin rather than putting chemicals into our bodies with sometimes irreversible damage. There are safer ways to a brighter and smother skin than putting harmful chemicals into our system. Beauty they say begins from within. Hi lizzy its amazing how u try to answer evry1💛💛.i was using qei+ carrot its nice but kinda very expensive in my area in ghana its about 14k naira so i want to change to 55h+ any advice on dat..
How can I buy d original fair and brite cream online? Hi, am light and has since been using so many cream but to no avail,pls can I try kojic? I am light in complexion but I now have annoying black spots on my buttocks,how do I get rid of it? I've tried funbactA,acneaway, I use qei privilege lotion and I am now using the tubeof 4200 on my buttocks to get rid ofitbutall tono avail, whatdo I do? Thanks bae, I'm also in south Africa but can't find a good cream to use. I got oily and dark face now. And where can I buy the original cream in Lagos? Is lemon fresh lotion cream a good toner? Hi lizzy I am fair and I use q7 gold carrot extract it works. But I ve dark fingers and knuckles. Wat should I use to get rid of it? Hi, Am fair I use q7 gold carrot extract.it works. But I ve dark sports and black fingers and knuckles. How do I get rid of those? I just had a baby,can I start wit carp white and switch to carrot glow,cos I just had a baby and my complexion is dark me.what do u suggest?or should I go direct to carrot glow .thnks.u are doing a great job here. what of clear therapy plus CT+? is it a good cream for bleaching? Pls I have used Caro White lotion for more than a year with Idole Avocado soap and I must say it gave me the best skin color. Only two months ago, I decided to stop Caro white cos of the hydroquinone and starting with St. Ives and Papaya extract, I have turned very dark, infact my face is now darker than my body. Am so confused, don't want to return to Caro white even though its tempting. Pls help me cos I also have an oily face. What products do u think I can try. This is really important. Thanks! Thanks for this post. I have been a regular user of Caro white lotion and Idole Avocado for years. It been very good for my skin but I decided two months ago to give it a quit cos of the hydroquinone in it. I switched to St Ives 24hrs deep restoring with the same Idole soap and I got very dark. I was advised to get Papaya extract and used a whole bar and I get darker especially on my face. Am a light skinned but right now am very darker than my really self. Please what can I do? Caro white and Idole worked well on my skin but can't continue. Please help me to get an eventoned light skin back. What lotion can be helpful since I also have an oily face. Your replies are highly welcomed. Thank you! Please Lizy i have dark spots on my face that i have been battling to clear for years now to no avail, am chocolate in complexion and want to lighten a little bit which of these creams do you recommend and a soap to go with it. 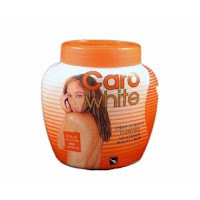 I have been a regular user of Caro white with it saop & tube. Because of my face I'm light in complexion but due to the work am doing my face turn black but the rest of my body do not that is the reason 4 using dis cream and it work perfectly truly but when my face is now light and match the rest of the body I stop using the tube but I'm still using the rest of the cream but after some weeks my face turn to black again. I decide 2 use the tube again only to my face but did not work like the first time because my forehead now have two colour black and light spot like burns cars. So pls what should I do, should I discontinued using it or what because I did not use the tube to all my body only to my face since I light in complexion but not very light. Pls what should I do to my face to come back 2 normal. Hi lizzy, am semi fair in complexion but i want to be 2/3 shades lighter than mine, at the moment am using olay quench cream and fair and white soap, but it's not giving me d desired colour, and I also have an accident scar, what cream and soap do u recommend? Hey boo, what's good ❓. Okayy...so I want to know what do you call, them pills💊 that the actors be taking & they b getting all Thick all of a suddenly in the Movies. & how can I order it. Hey. I really need your help. I want to whiten my skin but almost every creams and lotions that I've used leaves my hands and feet with dark knuckles and hyper pigmentation. I have a sensitive skin, please is there anything you can recommend for me that will whiten my skin and also get rid of the dark knuckles and hyper pigmentation? Hello please I'm dark skinned and I want to go a shade or two lighter. I want to have this caramel complexion. What product do I use please? I don't want to buy all these mixing creams because those ones bleach the skin. you need to really get a good one.I read about QEI And Q7 CARROTTE and FUNBACT A and bought them off this site and so far they haven't worked.spent like 350 dollars and I bought like a month ago . Use any of the above creams, when you reach your desired tone you can step down on usage. Pls...I'm useing fair & white body lotion... (the big pink container)...but it's giving me body reactions, like ezema on my back, neck and face...it's really embarrassing... pls which other cream can you recommend to correct my skin..A cream that will whiten me without bleaching nor skin reactions. Hi Lizzy I'm not to fair person but desire to have a glowing skin, I use excess beauty lotion it works well for me but when am expose to sun even if it's less then an hour I turn dark. Pls which cream will u recommend for me I wish to be fair by wedding is in three months. Lizzy I also have stretch marks on my upper arms what do i do use to get rid of it . Hi lizzy, i have discoloration on the left side of my face, the right side is normal, I'm almost light skinned, I'm a shade or two from being light skinned. The left side of my face looks burnt as there are light and dark patches. What cream can i use to clear the patches(discoloration) and still maintain an even skin tone. I don't want to be light skinned completely, i just want to maintain an even skin tone. Hello! Great Blog.. I just had a baby and I have dark patches of pigmentation on my skin (whole body) before the pregnancy I was fair in complexion but during the pregnancy I became so dark it came to a point my friends and family barely recognized me.. Please help me and recommend a body lotion or cream and soap that I can use to help me get back that glowing skin.. Thank you and Glod Bless.. PLEASE ADVICE ME ON THE CREAM TO USE AGAIN THAT WONT CAUSE INFECTION ON MY SKIN, BY THE WAY I DON'T WANNA GO BACK TO CAROL WHITE COS AM TIRED OF IT, IT DOESN'T WANT ME TO USE ANOTHER CREAM, IT'S LIKE IT HAS MASTER MY SKIN AND I DON'T LIKE THAT IDEA. Hmm even in 2017 people are still commenting, oya lemme comment too. Found this Very useful, enjoyed reading the comments(not all tho) For those of you that wanna go some couple more shades lighter try Caro white Fade milk cuz I did get shades lighter myself when I used it. However, I did get bored and decided to use Egg Yolk not the Queen Helene the Body Lotion and it was all sorts of nasty. Broke out pimples on my face, neck and chest but it did get me verrrrrry light and eventually my knuckles looked horrible, I did a chemical peel(don't try it) anyway I Sha still have dark knuckles but looks normal. Now am thinking if I go back to Caro white what's gonna happen? Will my skin get blended or worse?? I need someone to see into the future and get back to me. Aunt Lizzy do u have a crystal ball there? ?